If you’re trying to fix your finances, starting in your 20s is the best way to go. Even if you’ve got student loans, no credit and credit card debt, there’s still hope for you. If you want to pay off debt, start investing and learn to save, time is the most important resource you can find. That’s why starting young will set you up for success later in life. If you’ve just graduated, you might be wondering how to manage your newfound adult responsibilities while still having a life. For those of you, this book should be your bible. Ruth Soukup details how you can learn to manage your money while enjoying your life. She proves that it’s possible to have fun without blowing your budget or getting into more debt. This book will help you learn how to avoid peer pressure and spend money on what you really care about. If your personal finance education is nonexistent, you need this book. It’ll show you the ropes of personal finance without overwhelming you. This book is especially written for high school and college students and recent grads. Don’t blame your parents for not teaching you the difference between a Roth IRA and a traditional IRA; read this book instead. You’ll learn the basics of budgeting, saving, investing and more. Take charge of your finances and educate yourself. This book is a godsend for anyone who’s started working and wants to figure out how long they have left. If you aren’t inspired by Fisker’s story, there’s something wrong with you. Even if you don’t want to retire in your 30s, this book will show you that you don’t have to live life by anyone else’s terms. He’ll share his own strategies for financial independence and will show you how you can find your own road to retirement. This was the first personal finance book I ever read. Suze Orman can sometimes be a controversial figure in personal finance, but I really loved her no-nonsense approach to finance. If you can’t afford it? Don’t buy it. If you haven’t set aside money for an emergency, you are putting your future at risk. She sets young folks straight- you cannot build a future on borrowed money that you have no plan to pay back. Pay down your debts, save up for what matters most, her guide is a straight forward tough talk to folks in their 20’s. Farnoosh is quite a powerhouse in the finance world, and this was her first book which I got my hands on in my early 20’s. It’s a refreshing guide to budgeting, setting priorities, and learning how to afford anything with some creativity and planning. 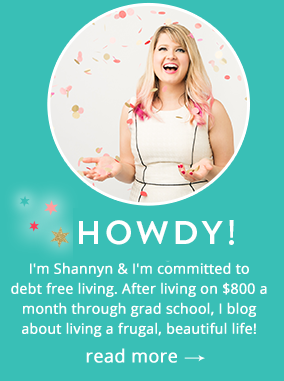 Farnoosh approaches personal finance like I do, which goes against what some voices in the space advocate for: you can afford anything, but you can’t afford everything. Yes, you can afford a designer purse with the right plan and justification, but you cannot afford all the things you want, be smart and plan ahead! This was one of the first books I ever read on personal finance, aside from Suze Orman. I remember getting this book from my campus library since I was on a tight budget- but it spoke to me. Honestly, most personal finance books are far too advanced, not for our brains, but for our budgets. Honestly, when I was struggling on a limited income with student loans, I didn’t want to hear about mortgages and retirement, I needed to figure out how to start smart, NOW. Ramit Sethi did a great job on this book to help you get started in your 20’s. I read this book recently while on a cruise to Bermuda and honestly, at the point I’m at now, it really spoke to where I want to be in my 30’s. There are a lot of finance books that recommend you get a safe job and invest in a predictable way, that is not the message of this book. He advocates blazing your own trail and not following the conventional slow lane to retirement- start your own business, invest in yourself, and hold yourself to a higher standard. Read this after you have some financial books (mentioned above) under your belt. No matter what books you choose to read, nothing matters as much as changing your behavior. Learning to fix your habits and develop new skills will determine your financial success. Use these books as a guide, but don’t forget that you can create your map. Greetings From Puerto Vallarta, Mexico! I agree with so many of these choices! I also think Richest Man in Babylon is a great one to read again and again. The widely you read, the more background you have to draw upon when making decisions. Love it! 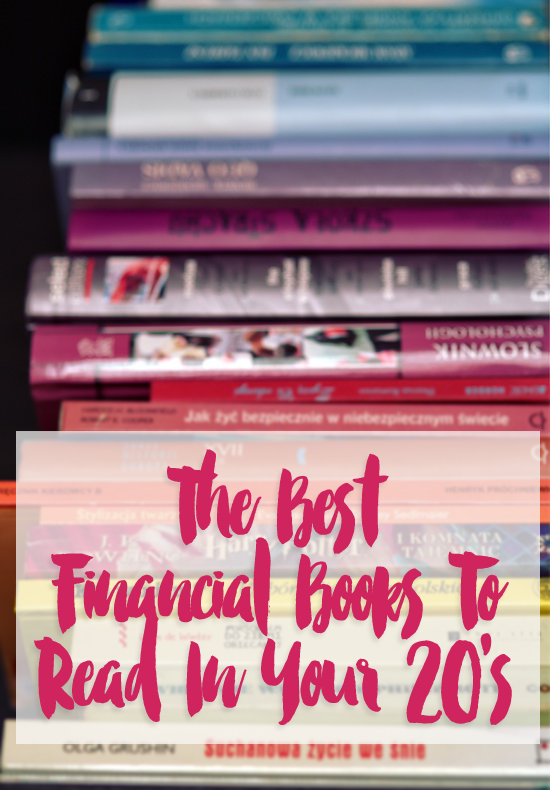 I haven’t had a chance to read much personal finance books but I’d love to read at least one or two before I turn 30. Thanks for the list! I think one of the first financial books I ever read was a Dave Ramsey book although I don’t think I ever 100% took his advice to heart. Living Well, Spending Less sounds like my next financial read! I love Suze Orman, her no nonsense approach to money is amazing. I remember when she was on the Oprah show some years ago and she just makes so much sense. Her advice is simple and easy to follow. I’ll add Rich Dad Poor Dad to this list. ERE was a huge inspiration for me to pursue financial independence although I didn’t realize it was a book. I started with the blog and Mr Money Mustache. Thank you so much for this list, I am definitely giving a couple of these a go! Thanks for the comment Lexie, I hope you enjoy the books!